Keyboard integrated devices: Touchpad. Used in Good condition Genuine Original Dell Venue 11 Pro SLIM Tablet Keyboard, QWERTY Layout UK English Language with " £ " key. 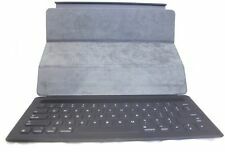 1x Used in Good condition Genuine Original Dell Venue 11 Pro SLIM Tablet Keyboard NO tablet included. Take your productivity to the next level with Docking Station for Surface 3. Instantly transform your ultra-portable Surface into a complete desktop workstation and easily connect to your favorite accessories. · komplette Funktionstastenreihe (F1 - F12). Dient außerdem als Bildschirmschutz. Surface Pro Type Cover sticht als eines der dünnsten, derzeit erhältlichen Tastaturen hervor und ermöglicht die Schreibgeschwindigkeit und Funktionen einer herkömmlichen Laptoptastatur. Model 1661. It's made to last and it's truly the largest difference between the stuff you "can get" and the stuff you must have to change the way you compute. For Microsoft. INCLUDES: Dock only. Compatibilità Tastiera Microsoft Surface Pro 1. Fattore di forma tastiera Mini. Struttura tastiera QWERTY ITALIANA. Peso della tastiera 210 g. Colore del prodotto Nero non retroilluminata. ALTRE CARATTERISTICHE. Panasonic Toughpad FZ G1 iKey Keyboard IK-Pan-FZG1-NB-C1 Good Working. Condition is Used. 100% Authentic Products. Products must be in original condition as received. Make: Dell Model: 0D1R74 UPC: None. MPN 0D1R74. Model K12A. Dell Venue 11 Pro Keyboard. This item has been tested and noted to be in working condition. Type Tablet Keyboard. Features Keyboard. Compatible Product Line Venue 11. You are buying a Microsoft Surface Docking Station Model 1664 with AC power adapter. 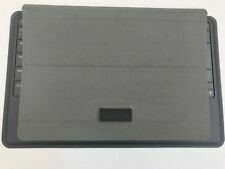 1 x Microsoft Surface Pro 3 Docking Station Model 1664. Surface pro 3 docking station. Will fit surface pro 4 if you get free adapter from Microsoft. Compatible with Miix 320 Tablet. This keyboard is compatible with the Lenovo Miix320 tablet. TABLET IS NOT INLUDED. OS Support. 25(L)x 17.5(W)x 2.77(H)cm. Wireless Technology. vom Händler mit Gewährleistung plus Rechnung mit MwSt. SONY XPERIA Z4 TABLET Bluetooth BKB50 UK QWERTY KEYBOARD. Factory Sealed! Protect It Now with a.
Microsoft Surface Dock PD9-00003 Includes: Surface Dock and Power Supply. Condition is Used. Shipped with USPS Priority Mail. 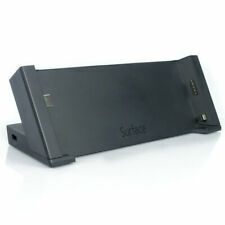 Microsoft Surface Dock for Pro 6, 5, 4, 3, Book - Docking Station Display Ports. Shipped with USPS Priority Mail. Previously usedXPERIA Z4 Keyboard in good condition. Item is brand new. Never used. opened box for pictures only. Microsoft Surface Dock for Pro 6, 5, 4, 3, Book - Docking Station Display Ports. Condition is New. Shipped with USPS Priority Mail. Keyboard only. The keyboards have been tested by our technicians and work perfectly. They may have light scratches or dings form normal use but are fully functional. 4 : HDMI, DisplayPort. 5 : DisplayPort over USB-C. Plug your Lumia 950 or 950 XL into a Display Dock and the external monitor starts up. Connect a Lumia 950 or 950 XL to a Microsoft Display Dock and Word, PowerPoint, Excel, and Outlook scale up on an external monitor for a powerful productivity experience. Microsoft Surface PRO4/PRO3 Docking Station (PF3-00005). Shipped with USPS Priority Mail. Came with a refurbished tablet, it it has been used. Just don't need it. Featuring the widest variety of port options available including HDMI, DP, VGA, Ethernet, USB-C and USB-A. Compact SuperSpeed USB-C to HDMI / VGA / DisplayPort / Ethernet / USB. Simply plug in your PC to a monitor or projector via DisplayPort or HDMI 2.0. Octa TabletTail Spider Monkey - Holder. Never been used open box. This item was pulled from use in WORKING ORDER and in GOOD PHYSICAL CONDITION. AZERTY Layout for FRENCH FRANCAIS Language. Compatible with Dell Venue 11 Pro Tablets. Windows 8 compliant keyboard. Dell P/N : 3MNY7. Tablet keyboard increases battery life by 50 percent. Full-size keyboard for comfortable typing. New Dell Venue 11 Pro 5130 7130 7139 7140 5J36C 0PRXM4 Tablet Keyboard. Part Number: PRXM4. MPN: 0PRXM4, CN-0PRXM4, 5J36C, 0D1R74. Type: Tablet Keyboard. Dell Venue 11 Pro (5130). Dell Venue 11 Pro (7130). 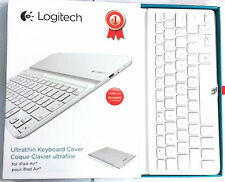 Das Logitech Ultrathin Keyboard Cover. Dieses ultraschlanke Schutzcover mit integrierter Tastatur ist die perfekte Ergänzung für Ihr geliebtes iPad. Wie machen Sie Ihr iPad noch perfekter?. Geben Sie sich unterwegs stilvoll – mit dem ultraschlanken Display-Schutzcover. Part Number: C83VD. MPN: 0C83VD, CN-0C83VD, 5YH5R, K18A001. New Dell Venue 11 Pro 5130 7130 7139 7140 K12A001 D1R74 Tablet Keyboard. Type: Tablet Keyboard. Dell Venue 11 Pro (5130). Dell Venue 11 Pro (7130). Dell Venue 11 Pro (7139). Dell Venue 11 Pro (7140). Keyboard Layout: QWERTY. Tippen Sie wie auf dem Notebook dank vertrauter Tastenanordnung und komfortablem Tastenabstand. Eine Tastenzeile mit iOS-Sondertasten gewährt schnellen Zugriff auf die Funktionen des iPad Pro. Bluetooth -Pairing überflüssig. Techno Shack. Logitech Keys-To-Go is the super slender, uber handy, fit anywhere, go everywhere iPad keyboard. Tuck it in your purse, between the pages of your magazine, inside your coat pocket or even your beach bag. 4 USB 3.0 ports allow you to plug in a variety of accessories and peripherals, keyboard, mouse, printer, etc. Surface Dock. 4 USB 3.0 ports. Surface Pro 6. Surface Pro 5. Surface Pro 4. Surface Pro 3. 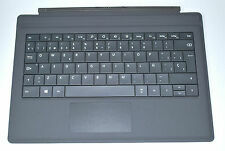 Genuine Original Dell Latitude 12 5285 5290 Travel Keyboard K16M with TouchPad. Dell P/N :G52Y4. AZERTY Layout for FRENCH FRANCAIS Language. Snap the Dell Latitude 5285 Travel Keyboard onto your tablet and enjoy a natural typing experience wherever your travels take you. In good condition and tested to be fully functional. Features a USB 2.0 port on the left side. NOTICE: AC Power Adapter NOT included. AC Adapter. None, Serial_Port: #?. SERIALPORT?. Acer Aspire Switch 10 Dock. • New, never used. MS Model Number: 1664. Surface Pro Docking Station Microsoft. This all-in one docking station transforms your Surface into a complete desktop. Workstation with ports for keyboard, monitor, Ethernet connection and more.